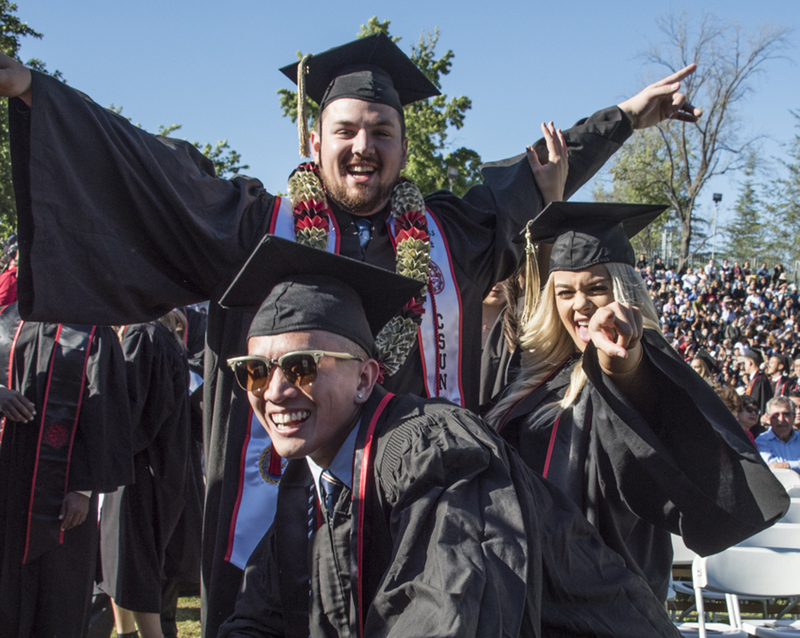 The internet has spoken — California State University, Northridge is one of the nation’s most loved colleges. The 2017 Forbes #MyTopCollege competition ended on July 21, culminating with CSUN climbing the chart to finish at No. 5. The six-week-long contest encouraged students, faculty, staff, alumni and fans to post about their #MyTopCollege to Twitter and Instagram, including their school’s social media handles. Submissions came in the form of words of thanks, graduation photos, success stories and even pictures of CSUN’s famous campus squirrels. Though the competition has come to an end, you can still interact with CSUN on Facebook, Twitter, Instagram and Snapchat. Follow us at the handles below.